Find out where to get the best personal bank loan. Even if you have a good job that pays well, you still might not be able to afford all the things you want to do in life, whether it’s financing a dream vacation or tying the knot in a luxurious destination. But that’s where personal loans come in. Personal loans allow you to borrow a large sum of money all at once, to be used entirely at your discretion. But just like banks, some personal loans are better than others. Take a look below to see which bank is the best for a personal loan. Click through to learn about the best personal loans for debt consolidation. Because personal loans are unsecured loans, they do not require any collateral to access funds, which make them a more favorable loan option if you need to borrow some major cash. However, because there is no collateral, personal loan interest rates are usually higher and determined by your creditworthiness. But not all personal loans are created equal. Some personal loans have less flexible loan amount options and sky-high interest rates, which is why it’s important to shop around when sorting through potential lenders. Here are some of the best personal bank loan options to consider. To qualify for the Citibank personal loan you must have one or fewer existing personal loans with Citibank outstanding, and that personal loan must not have been opened in the past six months, according to the bank’s website. The loan processing is quick and easy; you receive a check for the approved amount within five business days. Plus, you can get an even lower rate when you opt for Citibank’s Auto Deduct program, which automatically deducts the required payment on your Citibank loan from your provided checking, savings or money market account. The Citibank personal loan is ideal for anyone who has a one-time borrowing need and likes the security of a fixed rate with fixed monthly payments. 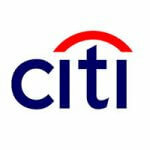 Learn more about all the banking products Citibank offers. With the Discover Bank personal loan, there are no hidden fees and you can return loan funds within 30 days and pay no interest. 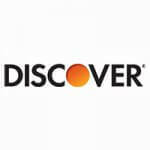 In addition, Discover can send funds directly to your creditors or to you by check or direct deposit within one business day after acceptance at the earliest, according to the bank’s website. You can use the loan as a means to consolidate high-interest debt, go on that bucket-list vacation trip or pay for your dream wedding. Understand: Can I Use a Personal Loan for Anything? Although you need $100,000 or more in verifiable eligible assets to qualify for a SunTrust personal loan, there are no application, cash advance or annual fees. Plus, get a 0.25 percent interest rate reduction off the standard rate if you enroll in automatic payments. 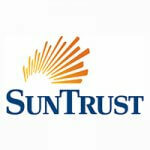 SunTrust is one of the best banks in Georgia. 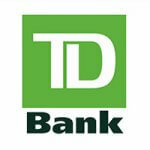 The TD Bank personal loan comes with a fixed interest rate and no annual origination fees. You can borrow the amount you need all at once and receive a discounted loan rate when you make automatic payments from a personal TD Bank checking or savings account. And if you’re looking to borrow less than $15,000, you could qualify for the TD Express Loan, which has an expedited loan process. With the TD Express Loan, you will receive the money you need in as little as two days. A TD Bank personal loan is best if you like predictable payments and don’t want to use your home or other assets to take out a loan. Prepare: How Do Banks Decide My Personal Loan Eligibility? Although the fixed APR is 7.49 percent for loan amounts of $5,000 to $25,000, higher rates apply for credit scores below 760 or for other loan amounts and terms. The minimum loan amount is $3,000 and you must be a U.S. Bank customer to apply. 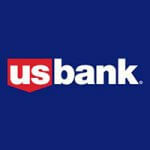 You can use the U.S. Bank Premier Loan for consolidating debt, home remodeling projects or other big purchases. 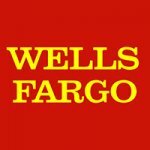 Wells Fargo personal loans come with a simple online application and funding process. Once you’re approved, you can get your loan amount by the next business day at the earliest. Also, there is no origination fee or prepayment penalty. Click through to learn how to get a preapproved car loan. Find out if a credit union personal loan is for you.